Welcome to Silverado Village. We have an optimized screen reader version of this site available. Come home to a beautiful Las Vegas apartment home. Silverado Village in Las Vegas, NV offers spacious one, two or three-bedroom floor plans. Our homes come well equipped with a private patio/balcony and an all-electric kitchen. We also offer ceiling fans, extra storage, vertical blinds and central heating and air conditioning. Select three-bedroom floor plans offer a wood burning fireplace, and washer/dryer connections. Our residents are offered some of the best amenities available in apartment living including a free cable package valued at $100 included in the rent. We have ample guest parking, and we offer our residents covered parking. We have a soothing spa/hot tub, a dry sauna, two swimming pools, and a soccer court. For your convenience, we also have on-call and on-site maintenance, and a part time courtesy patrol. 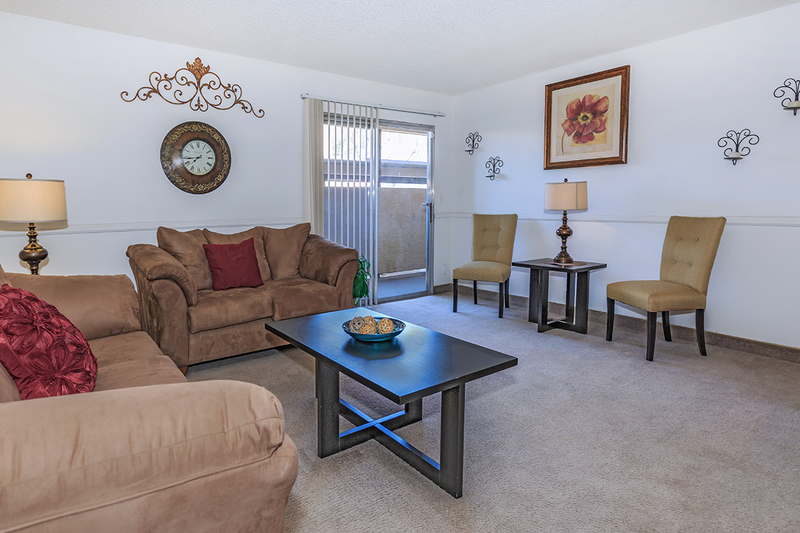 You will enjoy easy access to public transportation, freeways, and shopping. Our outstanding team delivers the best customer service. Silverado Village Apartment Homes offers incredible value - we offer well-designed, spacious floor plans. 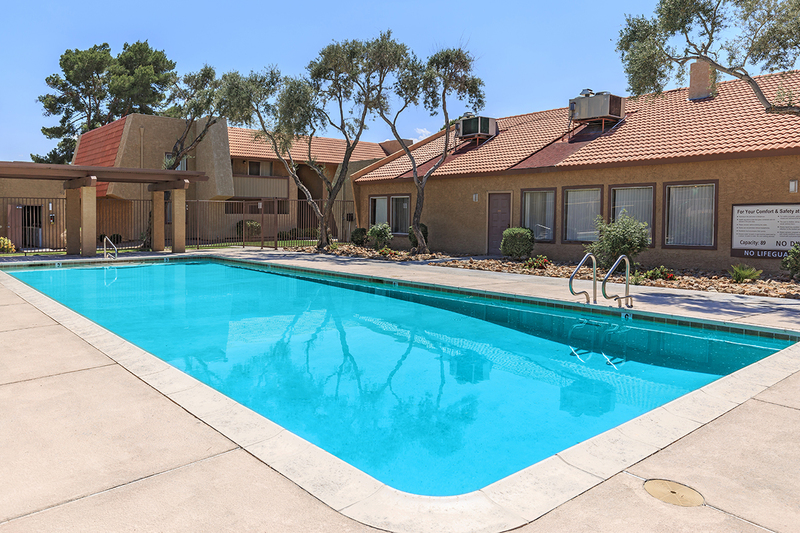 Looking for a pet friendly apartment community in Las Vegas, NV? Look no further than Silverado Village! As one of the few pet friendly communities, we proudly allow cats and dogs here at Silverado Village. Now your pet has the opportunity to relax by your side and enjoy the comforts of your apartment home. Pets must be fully grown, and weight limit is up to 20 pounds. There is a $20 monthly pet rent, a $150 pet deposit and $200 non-refundable pet fee.